Increasingly, brands are making room for executive content roles within their organizational structure. I’ve been studying content roles in the enterprise for some time now, and realize there’s an issue that’s not yet been addressed. 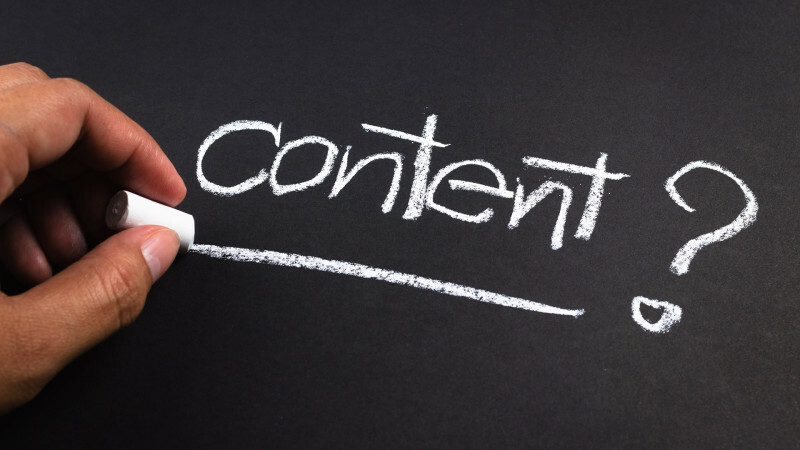 What’s the difference between content and content marketing? There’s a much-vaunted, but rarely-seen-in-the-wild title of chief content officer. That role has executive purview and cross-functional authority. A chief content officer has reach into R&D, product, HR, customer care, internal communications — all areas that don’t ladder up to marketing. And of course, the larger the organization, the greater the remove (or the silos) can be between departments and divisions. A content marketing executive, in contrast, focuses on content exclusively within the confines of the marketing organization. While the content marketing chief (or vice president, director, etc.) can and almost certainly should work with divisions external to marketing to develop ideas, campaigns, input and inspiration for their initiatives, his or her strategic goal will always align with marketing’s mandate. Content marketing will be designed and developed for marketing purposes, not for wider company initiatives, be they internal or external. This content will address various segments and/or personas at different stages in the purchase funnel. The content calendar will align with sales, customers, products, partners, trade shows and other externally focused initiatives. Both types of content must align, of course. Voice, tone, look, feel, consistency, brand guidelines — all these and more are components on the governance that forms the guardrails of content strategy, no matter how broadly or narrowly focused. Having recently taken up the mantle of VP of content marketing at a large, global organization, the blurry area between “content” and “content marketing” became immediately apparent. Are product demo videos content — or content marketing? What about product brochures? Web pages that document regular software updates and upgrades? The customer support and help sections of that same website? Product specification sheets? All these are (and require) content. The questions come in when a content strategy is being mapped. A content strategy outlines governance, resources and processes. Part of my new challenge is determining how, where and if all these non-marketing pieces of content will fit into content marketing. Do we create that content? Check it for look and feel, voice and tone, adherence to brand guidelines? Into which division and under whose purview fall the creators and administrators of non-marketing content? There’s practically no business area that content doesn’t somehow bleed into. Many gray areas are emerging around the differences between content-content and content marketing. What will most likely emerge in the next year or so will be a career path for content professionals. Organizations are hiring content executives across the hierarchical spectrum. Editors and managing editors are almost commonplace now at companies ranging from Dell to Adidas. Content marketing leads are also slowly, but surely, being created within the marketing department. The growth path? The career apogee is, of course, a place in the C-suite. Will content take its place alongside the CEO, CMO, CTO, CIO, CRO, and other senior leadership roles? It won’t happen soon, and it won’t happen everywhere. That’s simply not realistic. Corporate boards are hardly tripping over themselves to create new leadership roles (and the salaries that accompany them). But increasingly forward-thinking organizations will realize that content isn’t just the atomic particle of marketing — it’s the currency with which we relate, interact, communicate and signal who we are and what we stand for. Chief Content Officers will likely never be ubiquitous. But your chances of meeting one will likely become greater in the next couple of years.